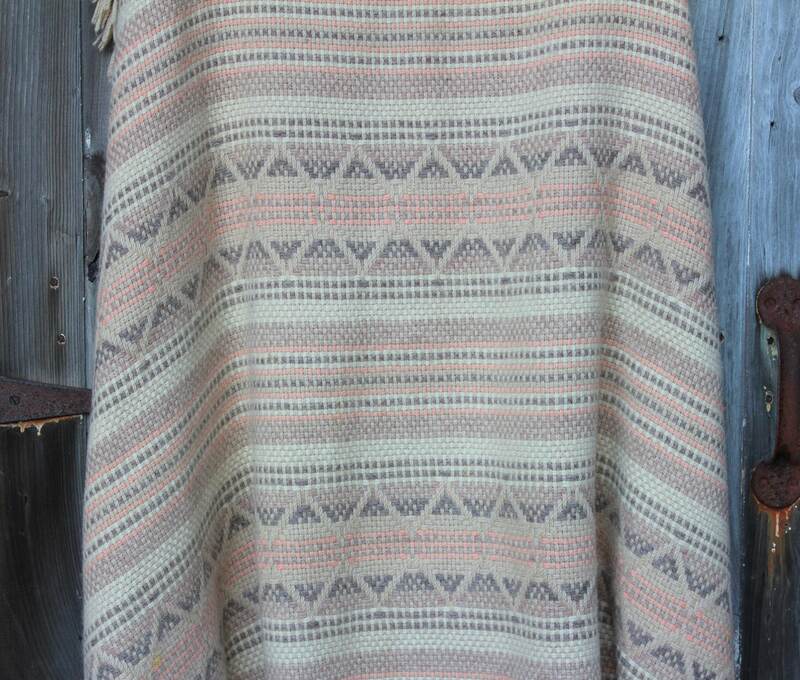 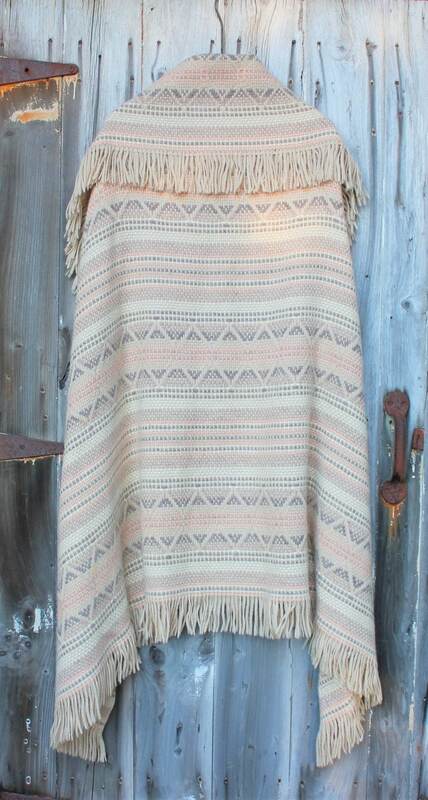 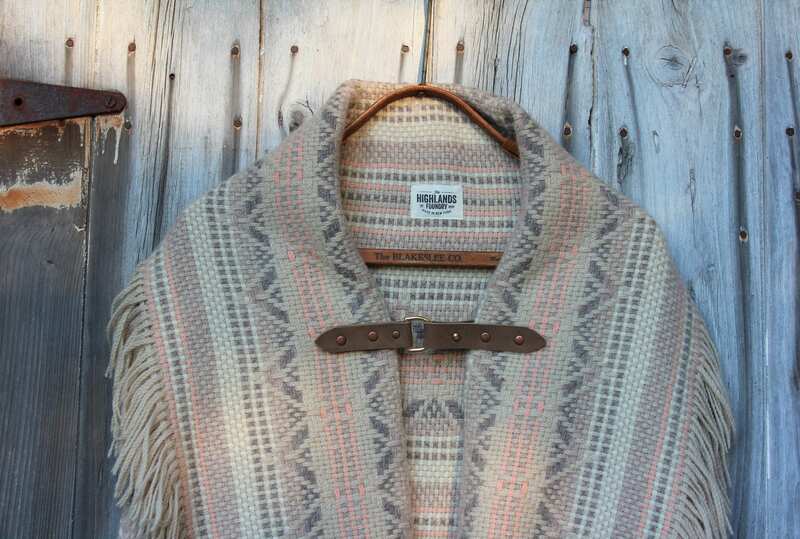 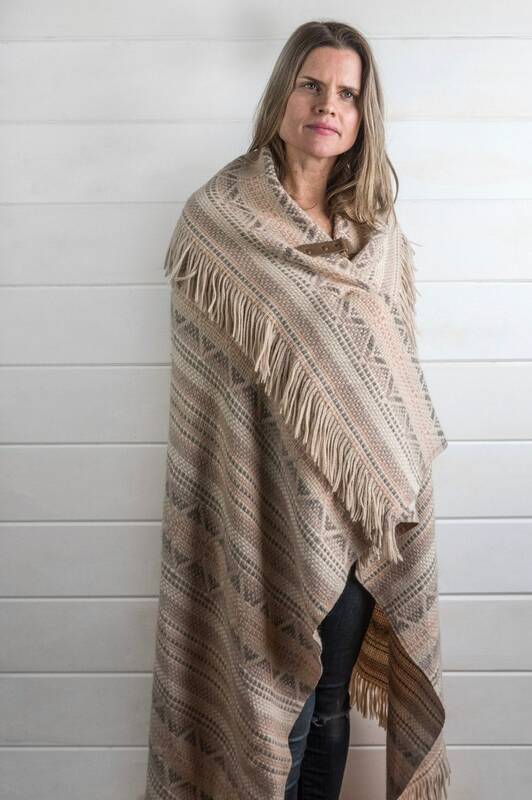 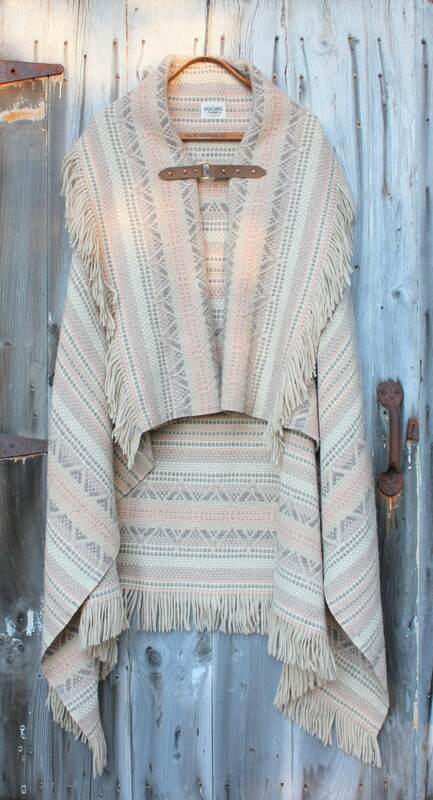 We created this one of a kind poncho by using a genuine Pendleton Beaver State wool fringe blanket. 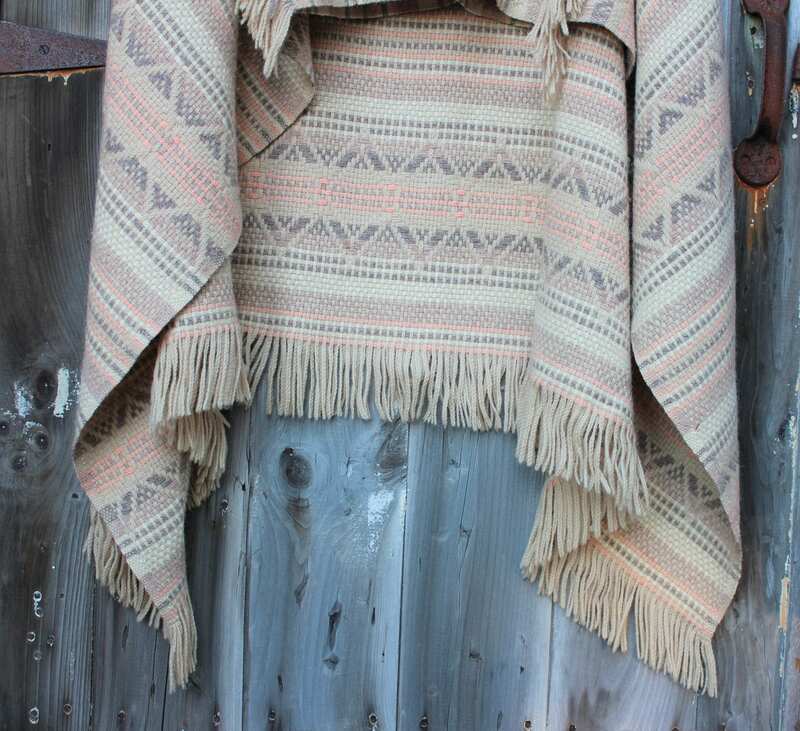 The pattern is a beautiful Southwestern style motif in amazing shades of ivory, taupe and dusty rose. 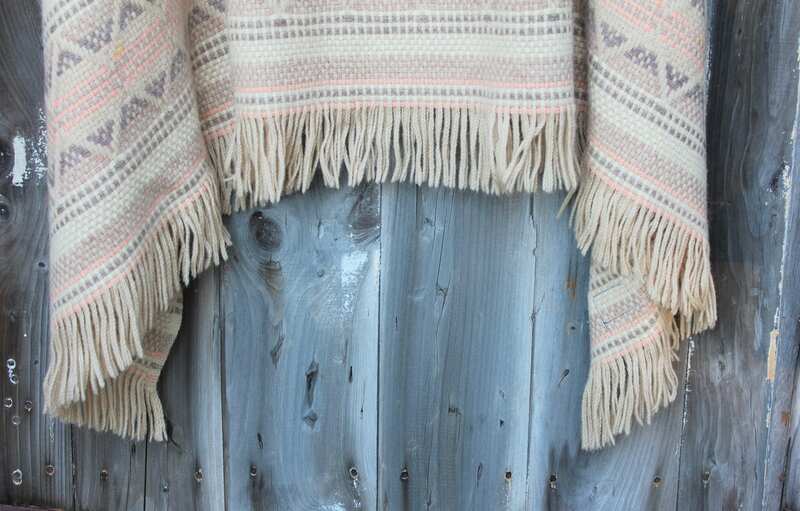 It is a woven style blanket using wool yarn and has a really nice soft hand feel. 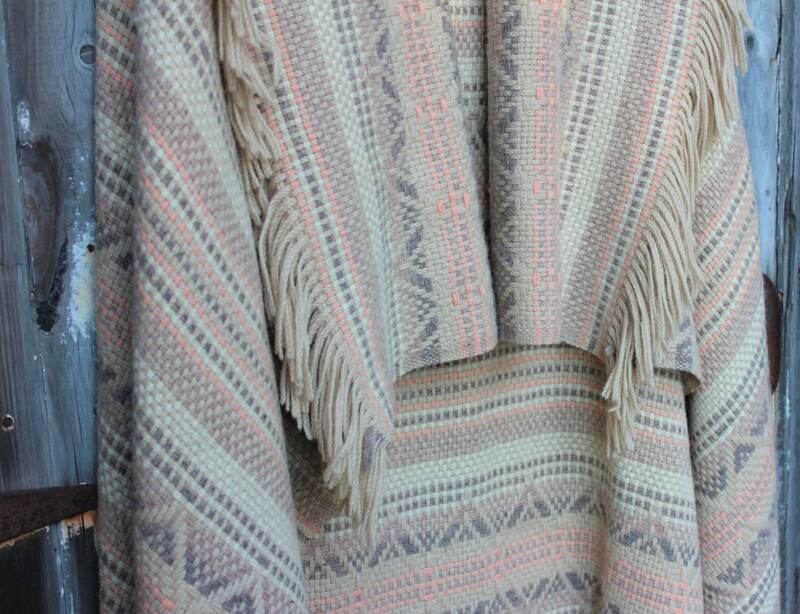 The blanket was in perfect condition and is a real stunner. 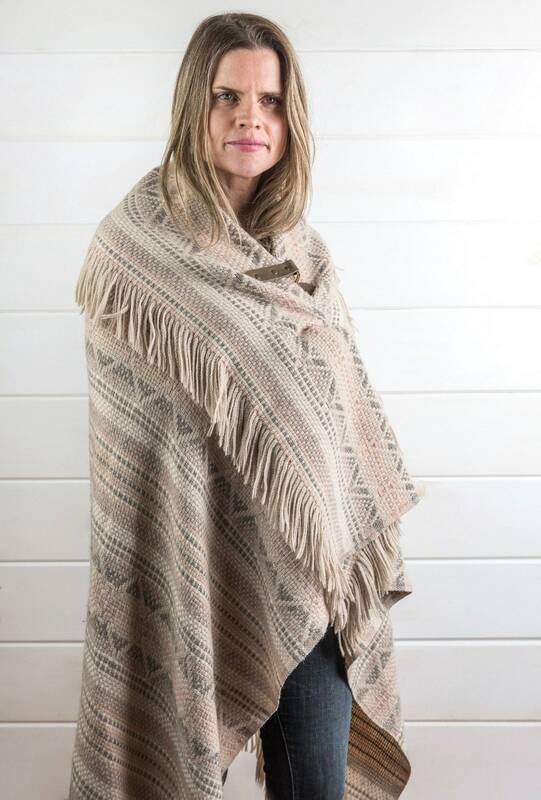 We created this poncho to have a large folded collar and a front leather closure secured with a solid brass D-ring and stud. 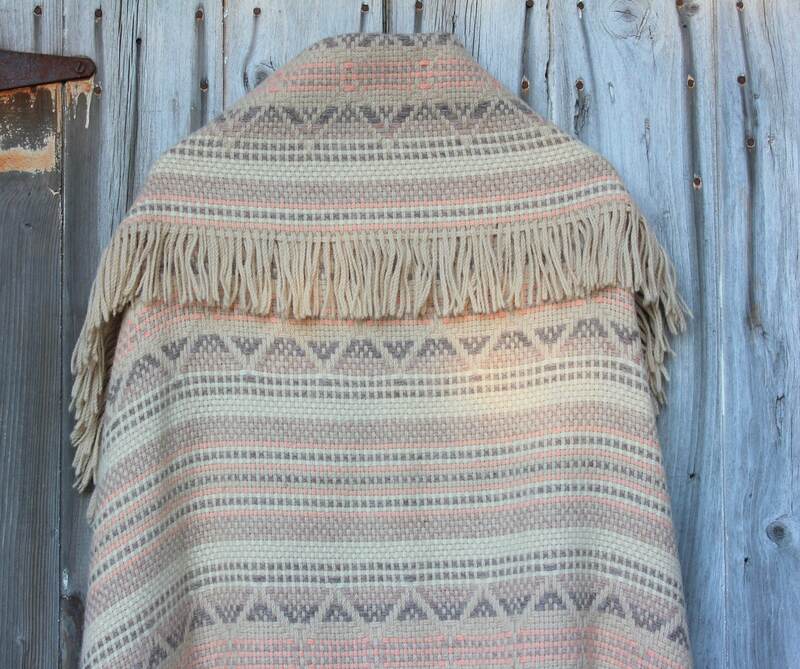 It is a one size fits all and is generous in fit given it's size of blanket.